Are you facing water damage at your home or business? We can help. We’re standing by ready to repair and restore your property to its pre-loss condition, and we guarantee your complete satisfaction. We handle everything from burst pipes and leaking faucets to storm flooding all across Chicago and the suburbs. Speak with the restoration experts at ServiceMaster Restoration by Zaba right now for 24-hour emergency water cleanup services. Whether you’re dealing with a burst pipe, leaky water heater or subfloor water damage, you can count on us. 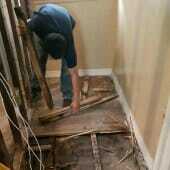 No home water damage restoration job is too big or too small for us. When disaster strikes your business, you need a professional company with comprehensive capabilities. We maintain a solid reputation with area property owners and facility managers through our work in high rises, warehouses, hospitals, business parks and more. We understand your unique needs, and we’re always happy to provide references. If you’re dealing with water damage at your real estate property, we repair damages and get your tenants back in the building as soon as possible. Our years of experience cover multi-family properties all across Chicago and the suburbs. We’re glad to share references from previous customers including property managers and condo associations. If sewage backs up in your home or business, it’s more than a soggy mess. Sewage backup is referred to as black water because it contains a dangerous mix of viruses, bacteria, microbes and harsh chemicals. Black water poses a serious hazard to your health. 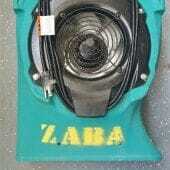 We clean sewage backup and completely sanitize your property. Whether you’re dealing with basement water leaks, burst pipes or faulty sprinkler systems, we’re here to help. Situations like these arise unexpectedly, but you can rely on our emergency response 24/7. Often, you don’t realize that water is damaging the ceiling. Without quick action, you risk a ceiling collapse that puts everyone’s safety at risk. You need help right away to minimize both the danger and repair costs. From a leaking roof to leaking windows, ice dams spread water damage throughout your home. We use advanced equipment and technologies to clean, dry and restore all affected areas. We take care of your personal belongings too. 1. An Immediate Response to your Call. Our highly trained staff answers your call 24/7. We ask for basic information including a description of the problem and contact information for your insurance carrier. Because we have multiple headquarters here in Chicago and the suburbs, we’re on the scene in 90 minutes or less. Thorough Damage Inspection. One of the first steps to repair water damage involves a thorough property inspection. Our technicians pinpoint all sources of water with infrared cameras and determine the extent of damage with specialized moisture readers. We then report our detailed assessment to you. One of the first steps to repair water damage involves a thorough property inspection. Our technicians pinpoint all sources of water with infrared cameras and determine the extent of damage with specialized moisture readers. We then report our detailed assessment to you. 3. Sharing Our Plan of Action. No client should ever be surprised by the process. That’s why we take the time to explain all plans of action, including cost estimates. 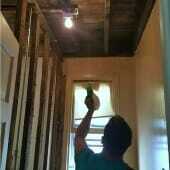 If we have to remove baseboards, tear out drywall and dispose of wet insulation, you know in advance. If we can save carpet and recover furnishings, you understand your options. We remove water from your property with a full arsenal of industry-proven water extraction equipment. After our pumps, vacuums and line truck mounts have done their job, we take care of the drying process with sublimation techniques, air movers and dehumidifiers. 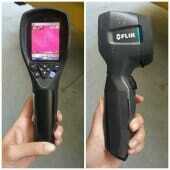 Our teams also address mold inspection and remediation. 5. Specialized Cleanup and Sanitizing. Once everything is thoroughly dry, we begin cleanup. We sanitize surfaces and porous materials with appropriate techniques and antimicrobial products. Carpets come back to life with deep steam cleaning, air scrubbers restore a fresh atmosphere, and even soaked belongings can often be recovered with our specialized cleaning methods. Our job isn’t done until your property is restored to its original condition. Minor jobs might require replacing small areas of sheetrock. Large projects might include rebuilding floors and walls. Whatever it takes, we get you back on your feet by making sure that your property is as good as new. What should I do in the meantime before help arrives? It’s very important that you document all water damage with photographs. We help you navigate the claims process, but most agents consider you responsible for an inventory. Please know that we can’t salvage items that have been contaminated by sewage. If you lease your home, you should purchase renters’ insurance to cover any future repairs and minimize water damage restoration costs. 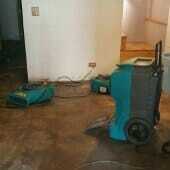 Most water damage restoration services in Chicago average between $3,000 and $8,000. We usually calculate costs per square foot, so the final figures for large properties can be higher. Severe damage and extensive reconstruction also add to restoration expenses. We outlined more information here. Are there other factors that affect the water damage cost? Yes. Contamination from sewage backup or toxic black mold growth are just a few examples of issues that may complicate a restoration project. Time is a factor too. Without immediate cleanup, water damage quickly spreads and increases the square footage that must be restored. How do you restore and clean personal belongings? It’s very difficult to deal with the aftermath of water damage inside your home. It doesn’t get any easier when you realize that all of your belongings are affected. We understand how much your personal belongings mean to you. Our services can often save you the expense of replacements and the heartbreak of lost treasures. Whether you’re dealing with plumbing problems or storm flooding, we quickly assess the damage and help you develop a complete inventory of affected items. We also take care of all types of electronic equipment including television sets, sound systems, computers, laptops, tablets and small appliances. Our crews take care of exterior cleaning, and our electronics technicians follow up with recovery assessments and restoration services. 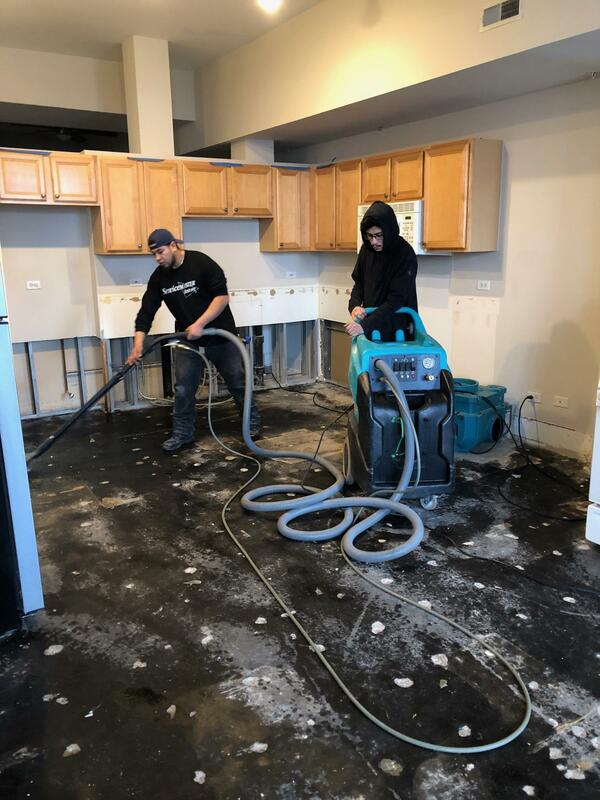 While we do everything that we can to get you back on your feet right away, we don’t want you to be surprised by any steps during water damage cleanup. Our teams take the time to explain in detail what you should expect, and answer any questions you may have. Designed to maximize and record thermal imaging, our ultra-sensitive cameras allow us to zero in on areas of hidden moisture under flooring, behind walls and in ceilings. This heavy-duty water extraction equipment operates as a system of powerful hot water vacuums mounted to the floors of our fleet trucks and vans. Truck mounts remove water from carpets and furnishings. It’s important to mitigate water damages quickly, so we also rely on this line of industry-proven water removal equipment. Extractors work efficiently on both carpets and hard surfaces. This equipment deep cleans and scrubs floors and other hard surfaces. 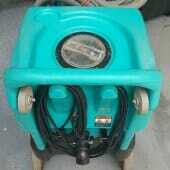 Shampooers are essential for treating areas that have been saturated with contaminated water. 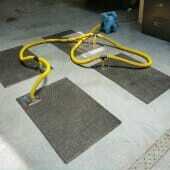 Our unique setup consists of a series of mats attached to an injection drying system. The equipment saves hardwood floors by generating heat that attracts and extracts moisture from flooring material. When interiors need a strong, indirect air flow, we put axial fans to work. Their aerodynamic design produces the velocity needed to dry subfloors and ceilings. Once mitigation is complete, we position this essential drying equipment for water damage throughout the job site. 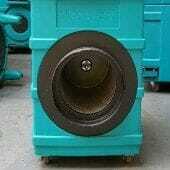 Air movers speed up structural drying by producing high-volume airflow through large areas. We use a variety of dehumidifiers to draw moisture out of water-damaged environments. Our units range in size from models that fit crawl spaces to equipment with large-scale capacities. Often, conditions at a job site compromise air quality with odors and impurities. Our extra-large air scrubbers effectively remove smells and contaminants with industrial HEPA filtration systems. These unique drying agents increase the efficiency of our dehumidifiers. Their chemical properties extract and absorb water from a wide range of materials. Can I get a free estimate over the phone? It’s not possible to assess the extent of your property’s water damage over the phone. We know that you want a fair and accurate estimate, so we dispatch our teams immediately. They perform a thorough on-site inspection and give you an honest breakdown of all costs. Typically, most policies cover 100 percent of water damages excluding your deductible. However, be sure to check coverage details with your agent. We need as much information as possible so that we can help you file your water damage restoration claim. Do you tear things down, and if so, how long do repairs take? Water damage restoration can involve removing soaked materials including floors, walls, and carpets. We will do our best to salvage your belongings. The drying process averages between three and five days. If you’re insured, we set a timeline that includes reconstruction. If insurance isn’t a factor, we schedule as early as a week out. Finish time depends on job size. What are the benefits of working with a Quality Restoration Vendor? As a certified Quality Restoration Vendor, we work closely with your insurance company, and that speeds up the process. We immediately address cleanup and eliminate the chance of future issues like structural rot and mold growth. We do the job right the first time, using only the most advanced restoration equipment available. Absolutely! We’re proud to show you what we do. Take a look at our frozen burst pipes case study as an example of our restoration capabilities. Ice dam water leaked into my home. Can you help clean it up and repair the damages? Yes, absolutely. Read more about our service here. What are some helpful resources I can look at? Also, you might want to do a quick Google search, which should yield helpful resources as well.